I hope you have had a good week. Wendie and I have returned from our trip last week to the Pacific Northwest where we spent time whale watching and touring towns along the coasts of Washington and Oregon. That is a beautiful part of the country, and we were thrilled to see all kinds of wildlife – orca whales, humpback whales, bald eagles, seals, elk, coyote, etc. It was a wonderful trip, but we are glad to be back here in Atlanta with you. The message is entitled “Let Go of Worry!” It will strive to help us see our anxieties in a spiritual context and then offer handles of Christian hope to help us move forward in healthy ways. I look forward to seeing you Sunday as we sing, pray, and reflect together. As we move through the summer months, I want to solicit your help. Now is the time that I begin my planning for next year. We are blessed here at Peachtree Road to worship in rooms that have been designed to remind us that we are in the presence of God. Just entering the sanctuary, the Moore Chapel, or Heritage Hall fills us with a sense of awe and reverence. And the music we hear stirs our souls and draws us together. We also want the messages you hear to be helpful and relevant to your life. Therefore, I want to hear from you. A brief twenty question worship survey has been prepared to solicit your feedback on several aspects of worship, including sermon topics for next year. I hope you will use the this link to participate. It will be open for the next two weeks (through July 29). Thank you for your help. Summer is one of the busiest times for moving companies as folks relocate from one city to another. You may have new persons in your neighborhood or workplace who are looking to get connected with others. Moving is a stressful experience, and it especially is helpful to find a new spiritual home as soon as possible. Therefore, I encourage you to reach out to newcomers and invite them to Peachtree Road. Also, if you see an unfamiliar face in worship, remember what it was like when you were new here – speak to them, introduce yourself, and welcome them to worship. If you or someone you know is interested in making Peachtree Road their new church home, please do not hesitate to let us know. Please reach out to Mimi Brunson at MimiB@prumc.org. Finally, let me give you an update on our giving to the “Imagine” financial campaign. Three weeks ago, I announced that we have received $1.5 million in commitments this year toward a $2 million matching gift that will enable us to retire our debt. In other words, we stood $500,000 away from retiring the debt, avoiding future interest payments to the bank, and ensuring that more of our giving supports the vital ministries of this great church. I announced that I am looking for 500 people who are willing to give an extra $1,000 during 2018 to help achieve this goal. Well, I am pleased to announce that we already have received commitments for the first $100,000! Thank you to all who have responded! We can see the finish line, and I hope you will help us get there! 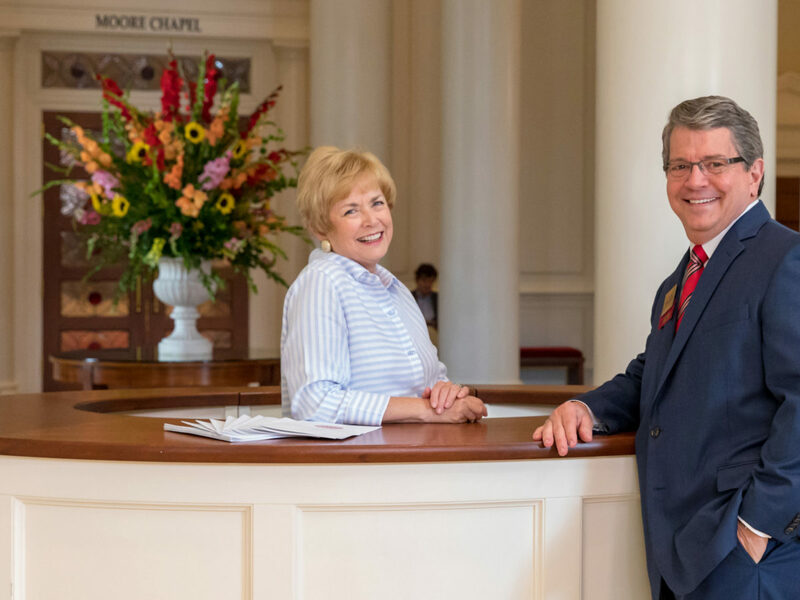 If you would like to be part of this effort, please make your check payable to Peachtree Road UMC and mark it “Imagine Debt Retirement” or make your gift online through the church app or website giving to “Imagine.” If you would like to make a gift of stock, please contact our COO Raymond Reynolds at RaymondR@prumc.org. With your help, we will be able to celebrate being debt-free by Harvest Sunday this November! I know many of you are traveling this summer. If you are unable to worship in person at Peachtree Road, I encourage you to stay connected to your church family by worshiping online or viewing the service later in the week through the church’s app or website. Thank you for your support in so many ways. See you Sunday for Summer in the City!